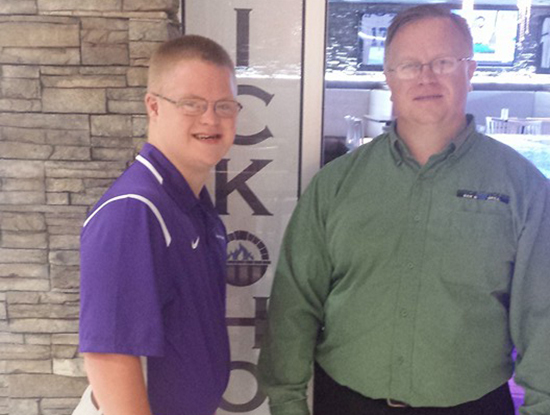 While at the State Capital in Springfield, Jimmy and his mother, Colleen Peterlich, met with Illinois State Sen. Dale Righter and Rep. Reggie Phillips and expressed his passion to own and operate a restaurant someday. Hearing Jimmy’s passion and drive for his future endeavors, Rep. Phillips, a restaurant owner in the Charleston area, offered Jimmy a “Manager for a Day” experience to better understand the intricacies of restaurant management. 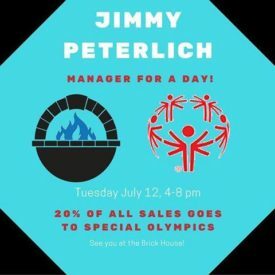 Of course, Jimmy said “yes” to being the Manager for the Day at the Brickhouse Bar & Grill of Charleston and Rep. Phillips, who is the restaurant’s owner, offered to donate 20 percent of all sales that night to Special Olympics Illinois. Well, pack the Brickhouse is just what Jimmy’s family, friends and fans did to show their support for Jimmy and his dreams of learning restaurant management, hopefully to one day own a restaurant. 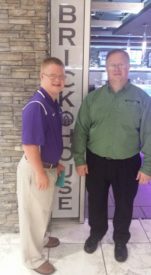 The great number of community members, not just from Charleston, but surrounding towns like Mattoon and Arcola, is proof to Jimmy that his efforts to bring awareness for empowering individuals with special needs, highlighting their capabilities and bringing about change for inclusion are effective. Congratulations Jimmy Peterlich on his great success! We are proud of your bravery to seek out your dreams.